← 15 links on creativity, writing, art: Recorded poets, audience, storytelling, etc. When the ‘P’ went dark on this sign outside of a Target store, the mood inside the store got dark, too. 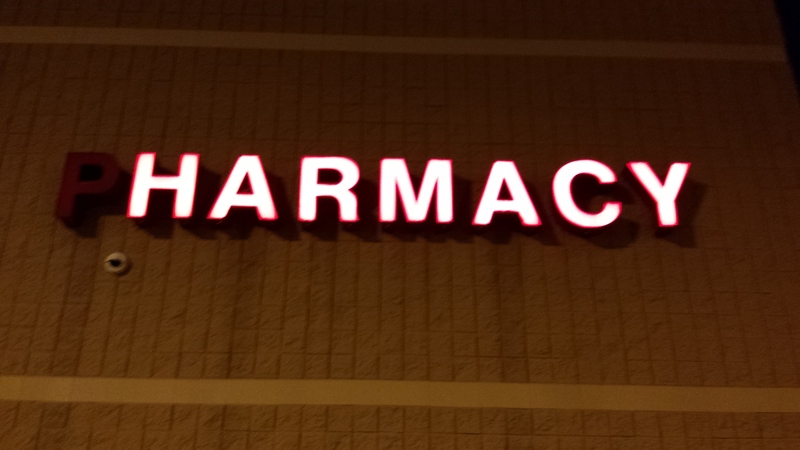 This entry was posted in Comic silliness, Photos and tagged harmacy, pharmacy, store signs, Target. Bookmark the permalink.